Welcome back for the second part of Spring Term! I hope you have all had a lovely half term break! I am able to reach out to you all on Class Dojo for any queries, messages and general updates but here on the class website I'd like to tell you a bit about the topics we will be learning about this term! Our topic this half term is all about plants and growth in a topic we are calling FLOWER POWER! We will be looking at how plants grow; investigating the different kinds of plants including vegetables and fruits, trees and flowers; observing nature and recording it in many different artistic forms! Within English lessons we will be reading some classic children's stories such as The Enormous Turnip, Jack and the beanstalk and also including some tales by Beatrix Potter all linked to growing and nature. We will be working on being able to retell the stories both orally and with the use of story maps, working our way towards creating our own Enormous Turnip stories!
. We will make predictions based on what we have read and will begin to look deeper into what happened and why. During our discussions we will make basic inferences about what is being said and done and continue to develop our phonic knowledge when reading. Cursive handwriting will be encouraged in all areas and children will continue to work on the high frequency words and the Year 1/2 spellings. Children will not be sent spellings home to learn but a copy of these spellings is available below if you would like to practice them with your child. In Maths, we will be working on addition and subtraction involving numbers to 50, using number bonds to 10 and 20, using counting on for addition and beginning to use physical methods for addition and subtraction which include the use of egg box arrays, number trees, bead bars and number lines. Children will have directed teaching time with the teacher and then will continue their learning by practicing their skills through continuous provision. The skill of reading is one of the most important we teach our children. It is a life skill that enables them to extend their concep ts, gain information as the basis for other learning and to gain access to the magical world of fantasy. Just as children walk talk and grow at different times, so their progression through the skills of reading will be at different rates. 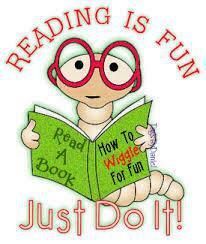 The key is for your child to feel positive about themselves as a reader right from the start. To become a fluent reader, your child needs to take on many skills and continue to practice these throughout their lives. Some are specific skills which can be taught, others relate to attitudes, and these they will gain from the adults around them. We ask therefore that you read with your child at least 3 times a week. Children will be supplied a reading book, however to keep them engaged feel free to read with them the books that interest them, those that take them to a world of make believe, that encourage them to dream and introduce them to the amazing vocabulary that surrounds them. Children's books will be changed 2/3 times a week and they will be listened to by the class teacher, teaching assistant and with our parent volounteers throughout the week. PE sessions will take place each Monday morning for the term. Please ensure children's PE kits are in school on this day and each item is clearly labelled. Toast is available to children for snack. Children must pay £1 at the beginning of the week for a slice of toast each day. Children are able to bring in their own snack for playtime. This can be a cereal/breakfast bar, fruit or veg. Water will be available to the children throughout the day. If you would like your child to bring in their own bottle, please ensure the bottle is clearly labelled with your child's name. If you have any queries then feel free to use ClassDojo to send a message or catch me in the playground at the end of the school day. Alternatively, please make an appointment with me through Mrs Thompson in the school office if you feel the issue is of an urgent or sensitive nature. In this section I will post some items and links to be complete for homework over this half term. I would like the children to use their own MyMaths login details to complete maths tasks set by me to support their in class learning, to practice their Lexia programme learning at home if they have been given a login for this resource and, also to practice their phonics sounds ready for their Year One phonics screening check later in the year. All these resources should be interesting and help your child to progress in their learning and I will check on their progress each week! Phonics Help for Parents This website is available for all who would like to help their children practice their phonics sounds and it an incredibly useful resource!